On the Blog: How does Process Validation help identify and mitigate risk, leading to the sustainability of your business? Learn more in today's blog by Josef Brown, a ProPharma Group Technical Solutions Consultant. Business sustainability is an often heard buzz phrase, but how does it apply when a costly process validation is imminent? Process validation is not only a regulatory compliance issue; it is also a driver for identification and mitigation of inherent process-borne risk. Process Performance Qualification is a biopharmaceutical expectation seemingly gaining traction in non-FDA regulated industries as a risk-mitigating and value-containing activity. Therefore, why not utilize this concept to comply with federal law and make your business stronger at the same time? How does Process Validation contribute to the sustainability of our client’s business? First, let us draw a circle around all validation, verification, and qualification documentation which we will call compliance assurance. These activities are usually seen as primarily a tolerable cost. Their contribution is perceived as a response to regulatory requirements and not necessarily a value-added activity; nor, as a valuable activity by which benefits are reaped not in actual cost savings but in cost avoidance. A reason for labelling these activities as regulatory compliance is that operations managers can better appreciate the relationship process validation activities have to lean manufacturing. The relationship between regulatory compliance and risk mitigation is well known to project and operations managers. So we come to Process Validation as defined in the FDA’s Guidance for Industry, Process Validation: General Principles and Practices: Stage 3 – Continued Process Verification. The elements of Stage 3 of the current guidance documentation requires continual assurance and surveillance of the process. This perspective of production activities in the drug and device industry parallels the lean activities of other industries. By requiring an ongoing program of data collection from critical control points, the FDA has, for all intents and purposes, mandated the drug and device industry adopt the same techniques used in other industries. The traditional elements of process validation have evolved into the Kaizen practices of continuous improvement. Business sustainability concepts center around the idea that all activities should be as lean as possible and any activity that does not contribute to adding value should be avoided. But, in the highly regulated business environment of pharmaceutical manufacturing, adopting lean manufacturing methods isn’t so simple. Attempting to divide those activities that contribute to manufacturing drug products and those activities that ensure the compliance requirements can devalue the compliance requirements. However, when the activities of compliance assurance and process validation are examined with perspective of process reliability and process control, the view changes. In the construction of a pharmaceutical production facility, the equipment should be installed and commissioned using Good Documentation Practices. However, this ideal practice can get lost in the pursuit of bringing equipment online within the budget constraints; particularly, when the equipment is custom-built and may face functional challenges after delivery. When challenges arise during start up, the value of the process validation activities, or compliance assurance, becomes clear. When viewed in this way, process validation decreases the risk associated with adverse events by being a comprehensive last check before launching the process. 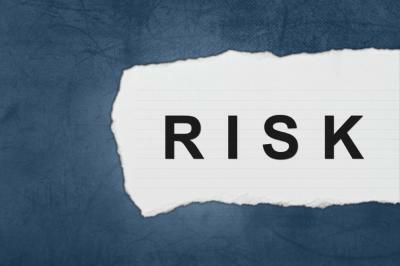 Operations and project managers address risk in one of two ways; direct risk avoidance, which is generally a costly choice in the pharmaceutical industry, or by risk mitigation. Process validation primarily utilizes risk mitigation activities. By verifying fully functional equipment and demonstrating in-control and robust processes, the project manager or operations manager gains the assurance of risk reduction. The drug and device industry has always been conservative. Rightly so, since change is risk and risk impacts lives. The adoption of continuous improvement as part of process validation is relatively new to the drug and device industry. The adoption of the “5S” system of waste reduction and productivity improvement, and the six sigma belts (yellow, green, and black), are relatively new to the drug and device industry but have been used effectively in other industries for years. On the other hand, the adoption of Good Documentation Practices is relatively new to industries outside drug and device manufacture. Other industries are finding value in capturing their process in documentation and record keeping. The adoption of Good Documentation Practices for industries that are outside the FDA scope has led to improved product quality and industry sustainability. So, why not comply with federal law and make your business stronger at the same time? Furthermore, best practices, even from unrelated industries, can provide value and reduce risk. Those activities like Process Performance Qualification, continued process verification and documentation practices will lead not only the medical device, biologics, and pharmaceuticals industry but also potentially countless others to a new state of sustainable business practices. Learn more about ProPharma Group’s Process Validation services. Contact us to get in touch with Alfredo or one of our other subject matter experts for a customized presentation.